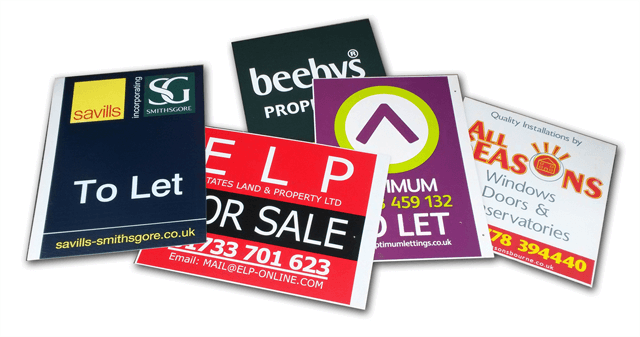 We have produced estate agent boards for over 30 years at John Eley's and offer all the experience needed to provide you with a great value service. If you have a requirement why not get in touch with us. A cost effective way to produce volume runs of labels. We can print direct to just about any kind of material using the screen print process. 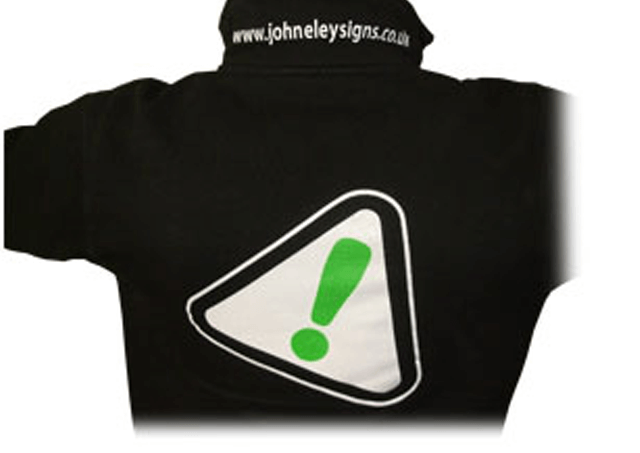 Print onto all types of clothes including: Work wear and sports wear or special events and occasions. We can also produce full colour print from photographs for short term items such as parties like hen and stag nights! 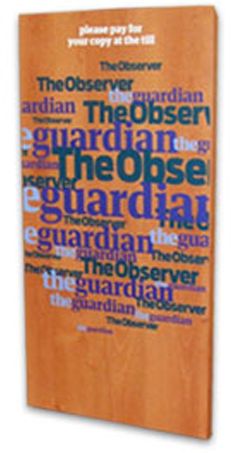 Screen printing is also great for point of sale graphics as shown in this example where hard inks had to be used to prevent the graphics being scratched or damaged. Other applications include cardboard engineered items for point of sale and also for larger product display. Large or small, screen print is a great way to get volume runs of stickers produced. It's still more cost effective than digital production and can be used for so many different products. 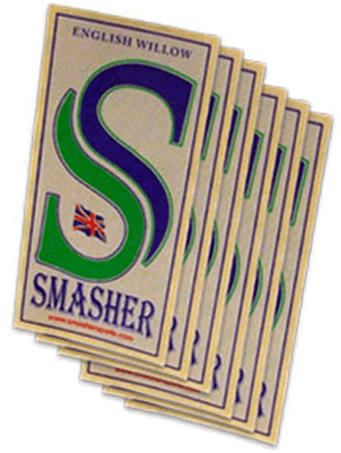 The example here shows stickers that were produced for cricket bats.